Tech Terrace CHARMER with CHARACTER! 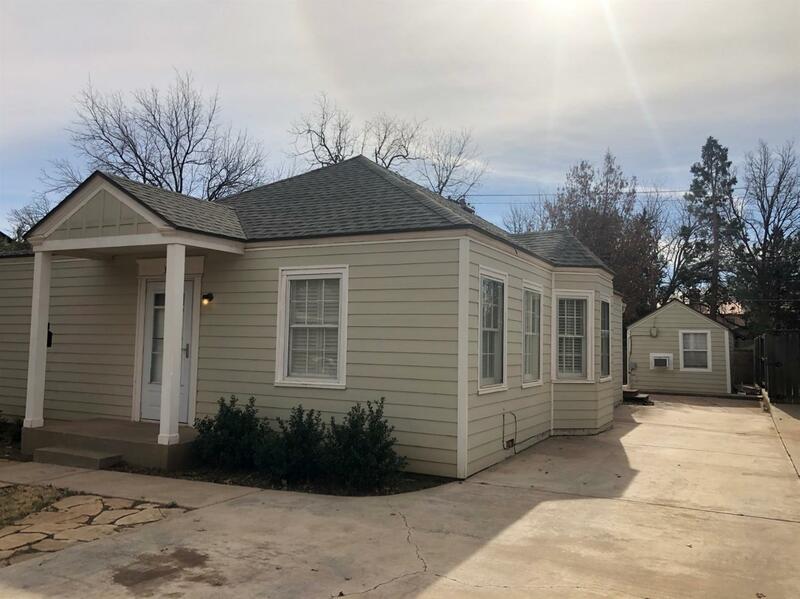 Walking distance to Texas Tech and the medical district! Main house offers a large master with ensuite full bathroom and the nice sized additional bedroom offers a large full hall bathroom. Both bedrooms have large closets. The registered efficiency apartment out back offers a bedroom, full kitchen and full bathroom= income opportunity for Air B&B, long term rental, art/music studio, or mother-in-law suite! Upon entry of main house the light filled space with gorgeous hardwood floors impress! Bay window seat, custom built in cabinetry, and crown molding all add a custom touch. Galley kitchen opens to living/dining area.Locked door separates the laundry room which services both the main house and the apartment. Back yard has a large patio space for entertaining, grass yard, and a mature tree!Tech Terrace Park is close by!